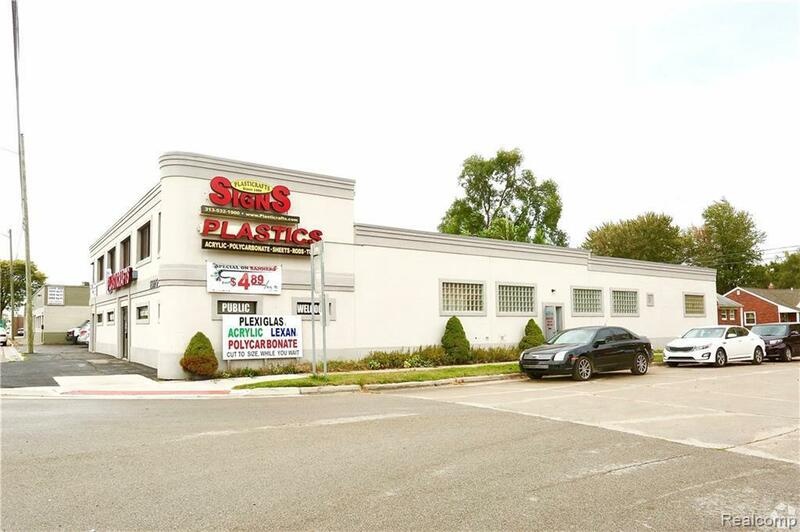 Plasticrafts building and thriving plastics business for sale! Awesome location on Eight Mile, just west of Telegraph Road. 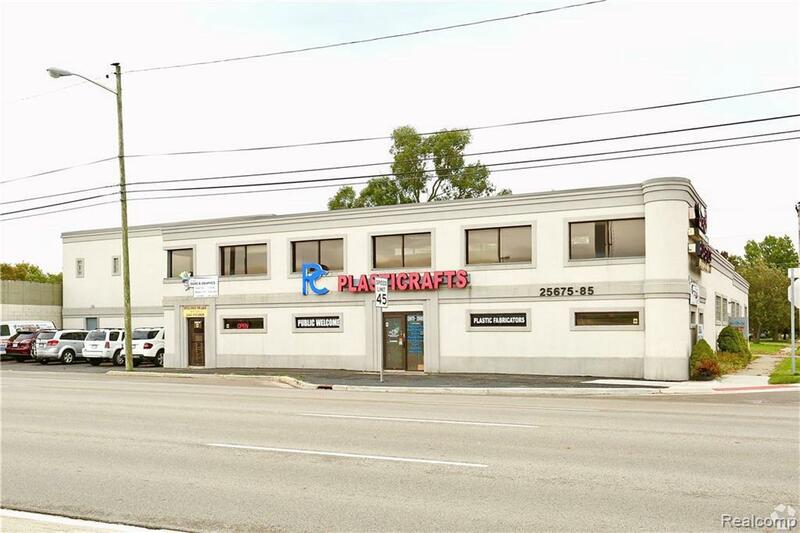 15,000 sf building with multiple work bays, top line equipment, and office spaces on 1st and 2nd floors. Curb cut-out for customer parking on 8 Mile, plus a rare dedicated front parking lot. 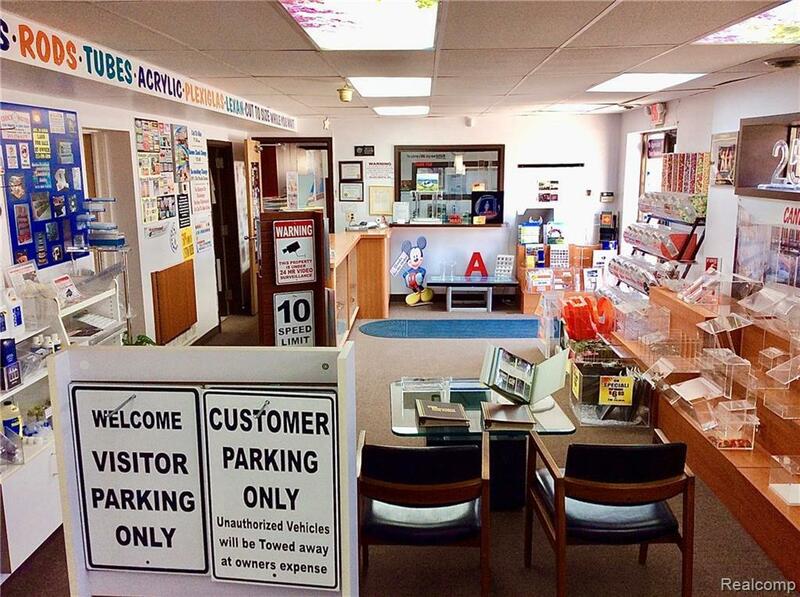 10,000 sf main floor can be sub-divided, 5,000 sf 2nd floor has mfg area plus separate office suites. 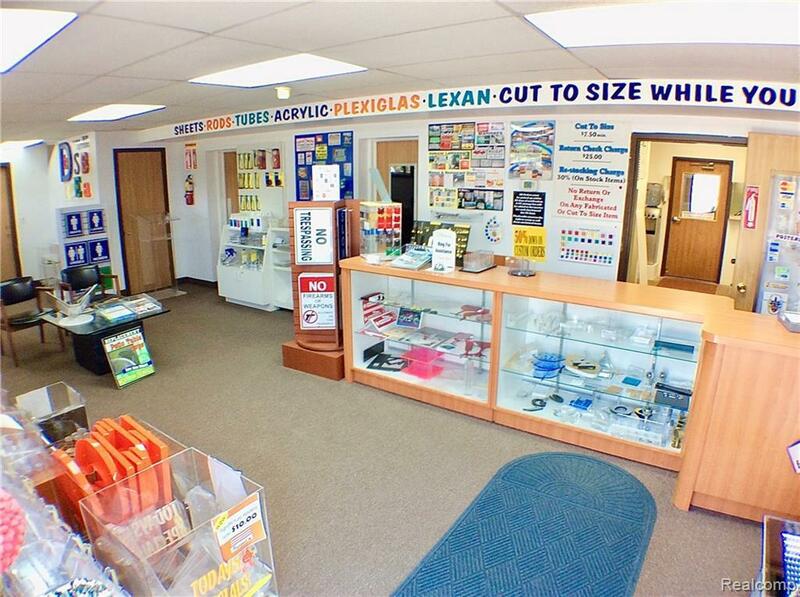 1st floor features reception and retail area, generous office space and huge mfg areas. Multiple bathrooms throughout building facilitate dividing and sub-leasing if desired. 2nd floor rests on intense I-beam structure, has immaculate concrete floor, and features an optional floor cut-out for easily conveying materials from 1st to 2nd floor. Dedicated and loyal customer base. Owner can stay on to help train and transition. This offering will exceed expectations. Please do not enter during work hours or approach employees. Call now to arrange for private showing.